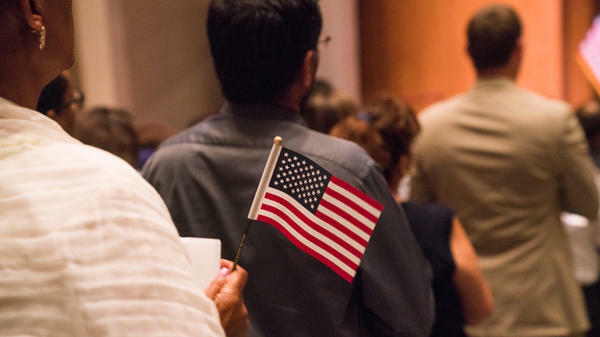 Newly sworn-in U.S. citizens gathered for a naturalization ceremony at the Rachel M. Schlesinger Concert Hall and Arts Center in Alexandria, Va., in August. Editor's Note: A previous version of this story misstated that total number of 2020 census citizenship question lawsuits that could head to trial. In fact, there are currently six lawsuits, although the Justice Department is expected to file another motion to dismiss one of them soon.